From Northern Ireland, David Stafford started his kitchen career in the Michelin-starred restaurant, Shanks. After a few years there, he went to Australia for a year and a half, before returning to Northern Ireland and working in the renowned Fontana. He subsequently decided to make the move to London and spent three years at the River Café. 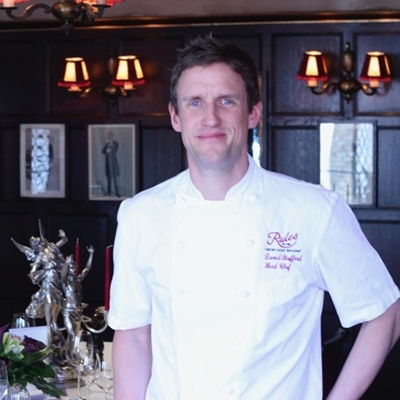 He went on to be Senior Sous Chef for Rowley Leigh, when he opened Café Anglais, and then Head Chef for the Galvin Brothers when they opened Galvin Café a Vin in Spitalfields. The kitchen gained a Bib Gourmande award in its first year of opening. David finally moved to be Head Chef at Rules, where he has bee for the past four years.